The Dahl Arts Center houses the unique Cyclorama Mural which features a 180-foot oil-on-canvas panorama spanning 200 years of U.S. economic history. 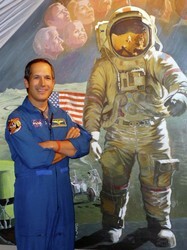 This extraordinary art work was designed and painted by acclaimed muralist Bernard P. Thomas. During the first two years of what would be a three year project, Thomas worked in his community of Boynton Beach, Florida, researching and designing the mural. 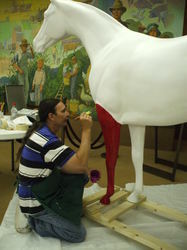 He began to paint in mid-July, 1974, prior to the Dahl Arts Center's public opening, and completed the mural in August, 1975. He worked alone the entire time. The upper sections reveal the historic past, the lower sections focus on the present in 1974. Large single and group figures divide the events of history and serve as the connectors between the past and present. Thomas highlighted the area in history that he felt greatly impacted our nation, such as the Civil War, communication, railways, transportation, the Industrial Revolution, agriculture and war. 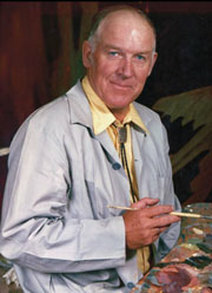 Bernard Preston Thomas was commissioned by Arndt (Art) Dahl to paint the Cyclorama mural. He was born August 9, 1918, the seventh of nine children, to a homestead family near Sheridan, Wyoming. He was the only member of his family to graduate from college, receiving a B.S in Art from Woodbury College in Los Angeles. At the end of World War II he studied art at Ecole de Beaux Arts in Paris, returning to the U.S. to pursue mural painting. While working on the mural he had an open-door policy. Visitors were always welcome and, over the course of 455 days, watched him create a masterpiece. Arndt (Art) Dahl, a prominent banker in Rapid City, was an admirer and friend of Bernard Thomas. 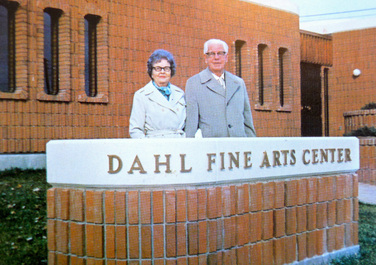 But it was his love of art and dedication to his community that drove him to build the Dahl Arts Center. It was his gift to the City of Rapid City, with the request that the management of the facility be under the direction of the Rapid City Arts Council. 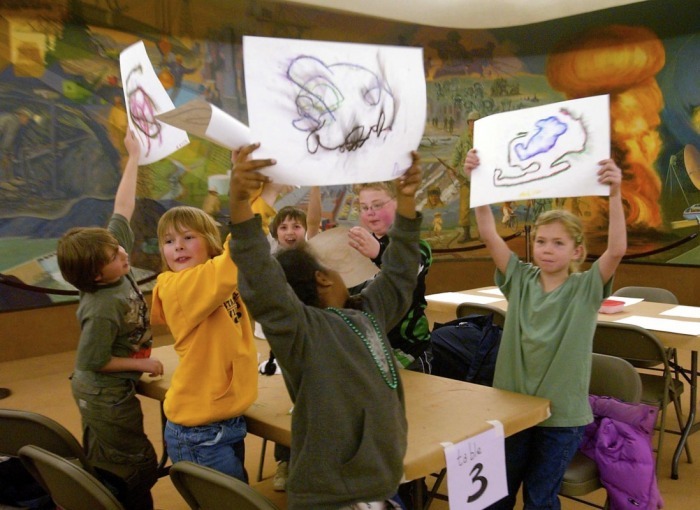 Because of Art Dahl's vision, the Dahl Arts Center continues to thrive today, offering education programs for young people and adults, exhibitions with a special focus on regional, contemporary artists, and support to artists and arts organizations in Rapid City. Have an opinion or memory of the mural?